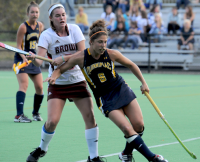 Quinnipiac’s Jess Rusin vies for the ball in Wednesday’s game vs. Brown. 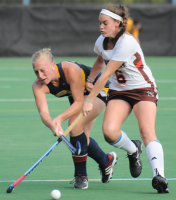 Quinnipiac’s Jess Rusin passes the ball in Wednesday’s game vs. Brown. Quinnipiac’s Danielle Allan celebrates with Jess Rusin and Cate Colucci after she scored a goal in Wednesday’s game vs. Brown. 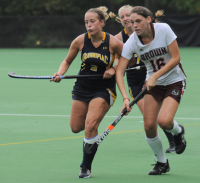 Quinnipiac’s Cate Colucci runs toward the ball in Wednesday’s game vs. Brown. Quinnipiac’s Jennalise Taylor hits the ball in Wednesday’s game vs. Brown. Quinnipiac’s Jennalise Taylor hits the ball as she is guarded by a defender in Wednesday’s game vs. Brown. 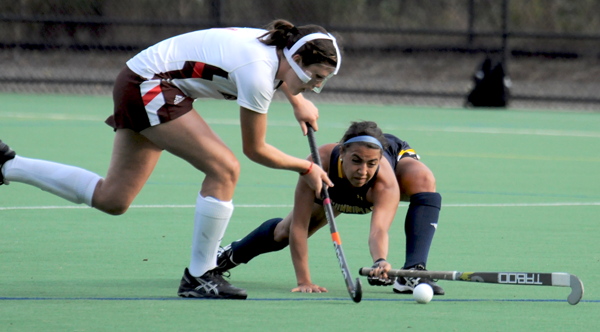 Quinnipiac’s Christa Romano defends a player in Wednesday’s game vs. Brown. Quinnipiac’s Lauren Zimniski is guarded by another player in Wednesday’s game vs. Brown. 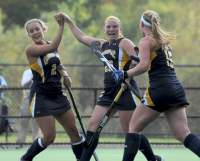 Quinnipiac’s Haley Swartz celebrates with Jess Rusin after scoring a goal in Wednesday’s game vs. Brown. Quinnipiac’s Ashleigh Allen reaches for the ball in Wednesday’s game vs. Brown. 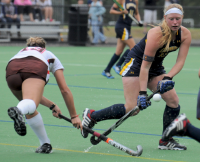 Quinnipiac’s Nikki Schultz lunges for the ball in Wednesday’s game vs. Brown. Quinnipiac’s Haley Swartz vies for the ball in Wednesday’s game vs. Brown. 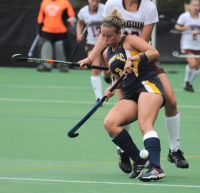 Quinnipiac’s Cate Colucci vies for the ball in Wednesday’s game vs. Brown. 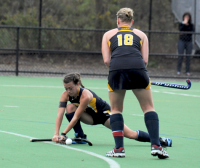 Quinnipiac’s Jess Rusin is hit by a defender in Wednesday’s game vs. Brown. 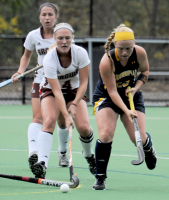 Quinnipiac’s Danielle Allan vies for the ball in Wednesday’s game vs. Brown. Quinnipiac’s Amanda Danziger sets up a corner play for Jennalise Taylor in Wednesday’s game vs. Brown. 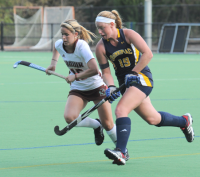 Quinnipiac’s Lauren Zimniski runs downfield in Wednesday’s game vs. Brown.